We believe that alcohol and drug addictions are symptoms of sinful behavior, negative emotions that lead to negative consequences. We believe persons using drugs and alcohol and the love ones that are affected by their using must and can find freedom. We believe that this freedom is found in establishing a personal relationship with Jesus Christ and living His Word. We believe that the Church will lead the battle in the war against drug and alcohol addiction, once the Church has been trained in the area of recovery. We believe drugs and alcohol addiction crosses denominational lines so denominations must band together to win this battle. We believe that family members and loved ones are deeply affected by the addicted person’s behavior and healing for the love one must take place. We stand together in Jesus name believing this is a winnable war! Free N One’s mission is to provide quality comprehensive service to the community related to addiction, prevention & recovery. Free N One also works with the family member that is suffering because of the addict/alcohol addictive behavior. Free N One trains and assist the local church, and other organizations and its surrounding communities in the area of recovery, codependency and prevention and continuum of care. Alcohol and other drug addiction is a progressive disease. 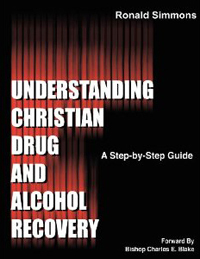 Alcoholism and drug addiction is a spiritual disease. Total freedom from drug and alcohol addiction and the behaviors that come from drinking and using is found in the Word of God, by living the Word of God. The family member has to be healed in-order for total healing of the addicted person to take place. The battle of addiction will not be won until the Church comes together as one with one goal in mind, helping the addict/alcoholic and there love ones. person! To win this battle it will take an organized effort and involvement from God’s Church. One church standing alone can’t do it, but many churches coming together builds an unbeatable army. We know that God’s plan “A” is the laying on of hands. God’s plan “B” is called the Process of Recovery, and the Bible calls it “renewing the mind”. The Bible also say’s “My people parish for a lack of knowledge”. Knowing how to fight this battle is the key to success. Another great thing about God’s plan “B” you can track those that participate in the program and witness their success. Free N One train’s individual’s from local churches around the country on how to successfully minister to addicts and alcoholics and their family members by using the process of recovery. After the church has been trained we then organize those churches linking them together with a standardized format and a directory is created and passed out at all meetings and in the community thus allowing anyone needing help able to find help at any time. Contact us and find out how you can take part in this training with little or no cost to your congregation or organization.